The Axor Massaud Small Vessel Sink has the ultimate design if you are looking for a collection that immerses you in nature. Its elegant alpin-white finish matches just about any accessory in your bathroom. 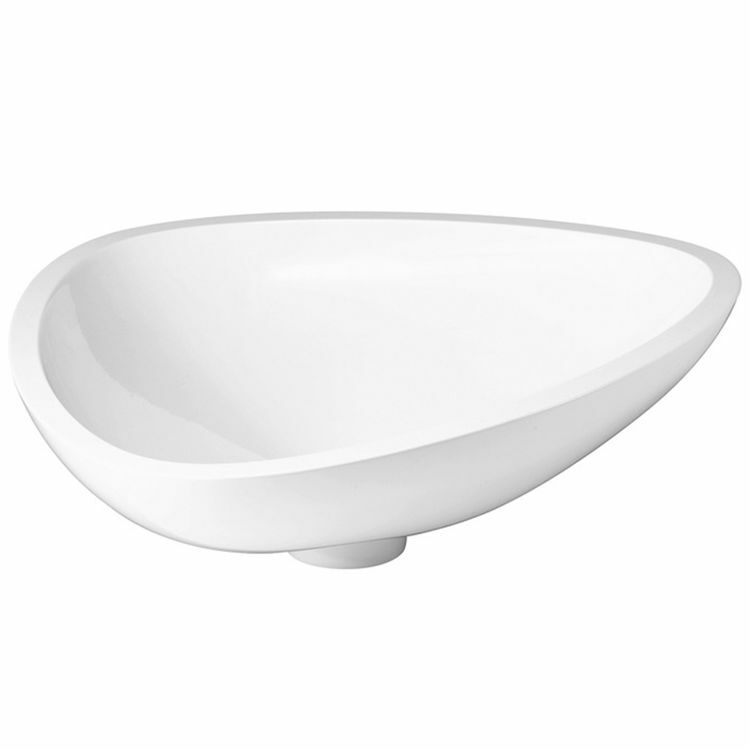 This Axor Massaud 42305000 Washbowl is made of mineral cast with a gelcoat body. It can be used only with basin mixers without pull rods. Overall length is 22 7/16" and depth is 5 11/16". More details are available in the specification sheet. The Axor Massaud Countertop Washbowl is proudly TUV-certified and has complied with the standards of leading quality marks. Axor Massaud is a bathroom collection that shows off its serene elegance that suits the nature-lovers eyes. Axor has been behind the beautifully designed quality showers, faucets, and other bathroom and kitchen fixtures since 1901. Shipping Dimensions 33.1" x 22.1" x 11.0"
Shipping Dimensional Weight 45.56 lbs.